Mass transit has been part of the urban scene in the United States since the early 19th century. Regular steam ferry service began in New York City in the early 1810s and horse-drawn omnibuses plied city streets starting in the late 1820s. Expanding networks of horse railways emerged by the mid-19th century. The electric streetcar became the dominant mass transit vehicle a half century later. During this era, mass transit had a significant impact on American urban development. Mass transit’s importance in the lives of most Americans started to decline with the growth of automobile ownership in the 1920s, except for a temporary rise in transit ridership during World War II. In the 1960s, congressional subsidies began to reinvigorate mass transit and heavy-rail systems opened in several cities, followed by light rail systems in several others in the next decades. Today concerns about environmental sustainability and urban revitalization have stimulated renewed interest in the benefits of mass transit. Mass transit—streetcars, elevated and commuter rail, subways, buses, ferries, and other transportation vehicles serving large numbers of passengers and operating on fixed routes and schedules—has been part of the urban scene in the United States since the early 19th century. 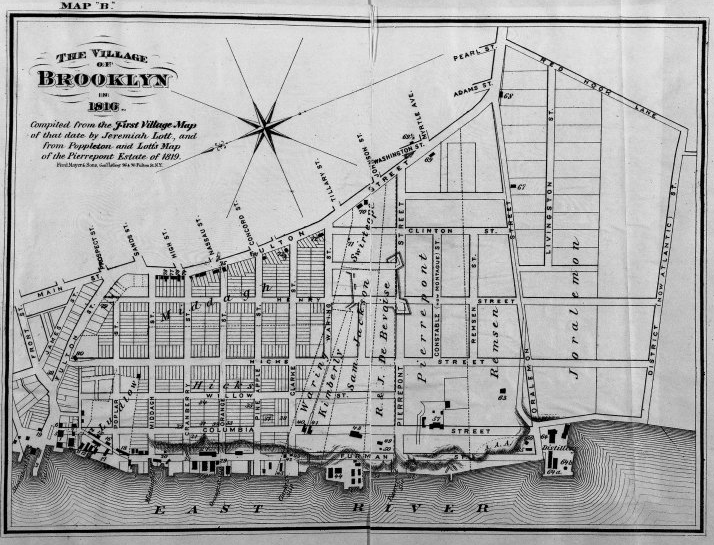 Regular steam ferry service connected Brooklyn and New Jersey to Manhattan in the early 1810s and horse-drawn omnibuses plied city streets starting in the late 1820s. Expanding networks of horse railways emerged by the mid-19th century. A half century later, technological innovation and urban industrialization enabled the electric streetcar to become the dominant mass transit vehicle. During this era, mass transit had a significant impact on American urban development, suburbanization, the rise of technological networks, consumerism, and even race and gender relations. Mass transit’s importance in the lives of most Americans started to decline with the growth of automobile ownership in the 1920s, except for a temporary rise in transit ridership during World War II. In the 1960s, when congressional subsidies began to reinvigorate mass transit, heavy-rail systems opened in cities such as San Francisco and Washington D.C., followed by light rail systems in San Diego, Portland, and other cities in the next decades. As the 21st century approached, concern about environmental sustainability and urban revitalization stimulated renewed interest in the benefits of mass transit. The history of urban mass transit in the United States is more complex than a simple progression of improved public transportation modes before the rise of the automobile ultimately replaced transit’s dominance by the mid-20th century. Transit history in American cities is rooted in different phases of urbanization, the rise of large corporate entities during the industrial era, the relationship between technology and society, and other broad themes within American history. At the same time, mass transit history shows the value of emphasizing local contexts, as the details of urban transit unfolded differently across the United States based on municipal traditions, environments, economies, and phases of growth. The omnibus had weaknesses. Since most vehicles featured unpadded seats and typically travelled on uneven cobblestone roads (if paved at all), passengers experienced an uncomfortable ride.8 The fare—generally 12 cents—was too expensive for most urban dwellers. Nonetheless, the omnibus initiated a “riding habit” of regular transit use within its main segment of users: members of the urban middle class. This growing demographic found private stagecoaches too expensive, but they had the affluence and desire to commute to work instead of walking.9 Although getting around by foot remained the main source of mobility for most urban dwellers, the “walking city” was slowly eroding. A vehicle with less surface friction could reduce the shortcomings that had plagued the omnibus. Horse streetcars—commonly known as horsecars—traveled on rail instead of road, and had numerous advantages over the omnibus. The use of rails provided a faster, quieter, more comfortable ride, while enabling a more efficient use of horse power. This fact allowed for larger cars that carried approximately three times as many riders as the omnibus. Importantly, the horsecar’s lower operating cost per passenger mile translated to a cheaper fare for users (typically 5 cents compared to the 12-cent omnibus fare) and a growing “riding habit” within the American urban population.10 Horsecars reduced the time and cost of commuting to and from the central core, and, thus, they expanded the area of development along the urban fringe. Following a slow start, other American cities adopted horsecars by the 1850s, part of the wider context of rampant urbanization during the second half of the 19th century. Typically, a private company ran lines under a franchise awarded by the municipality that outlined the public roads on which the company could build rails and operate routes, along with other stipulations. By the end of the 1850s, New York, New Orleans, Brooklyn, Boston, Philadelphia, Baltimore, Pittsburgh, Chicago, and Cincinnati provided horsecar service. Further expansion developed during the 1860s.11 Two decades later, almost twenty thousand horsecars traveled on more than thirty thousand miles of street railway across the United States. Such expansion was particularly notable in contrast to comparatively slower growth in Europe (where people called the technology “American Railways”).12 The horsecar’s initial development in the United States, and its early spread across the country, exemplified how the country was often at the forefront of transit use and technological innovation during the second half of the 19th century and the early 20th century. Steam was one alternative source of power. It had provided power for ferry services since the 1810s and passenger railways two decades later. By the mid-19th century, commuter railways using steam locomotives (essentially short-haul passenger rail) connected affluent residents living in small suburban areas to places of work and entertainment in large cities. For example, upper-middle-class towns, such as New Rochelle and Scarsdale in Westchester County, New York, grew with commuter rail service to New York City, while Evanston, Highland Park, Lake Forest, and other commuter towns emerged around Chicago.19 Yet steam power presented challenges for urban transit. Many city dwellers living along crowded streets considered the noise, pollution, and other dangers associated with the technology to be nuisances. Steam operation also generally cost more than horse power until the 1870s. A few New York companies gambled on steam-powered conveyances during the 1860s, but they all soon ceased their experiments.20 Nonetheless, transit companies in greater New York and Chicago began building elevated railroads using steam power above urban thoroughfares. This proved to be among the earliest forms of rapid transit, since vehicles operated on their own right-of-way, not in mixed traffic. By 1893, Jay Gould’s New York Elevated Railroad Company carried half a million daily passengers from lower Manhattan to the Bronx, while Chicago saw the first line of its “L” system open in 1892. Although short-lived “elevateds” existed in the smaller cities of Sioux City, Iowa, and Kansas City, Missouri, high capital costs made them mostly a big city phenomenon unlikely to become a dominant mode of transit across the United States.21 Elevateds also darkened the street below. Once electricity became a possible power source by the 1890s, city dwellers clamored for rapid transit to burrow underground. With hindsight, the cable car emerged as a temporary solution for the transit industry until the refinement of a more efficient power distribution method. Cables had advantages over horse power, but they also carried particular weaknesses. Cables were always under the threat of snapping. Maintenance and replacement constituted a complex, expensive process that negatively affected service. Ice buildup produced issues in colder cities. The cable had to run at the same capacity no matter the service level, which meant power generation could not diminish at off-peak times. Twenty years after Hallidie’s first run on Clay Street, more than three hundred miles of cable car tracks had been laid across the United States. 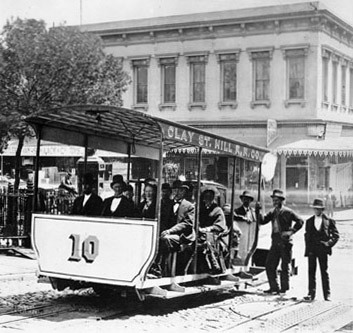 But numbers declined soon after electric streetcar operation became practical in the 1890s. By 1913, only twenty miles of cable car track were still in use.24 Electric streetcars and other electric transit technologies exacerbated the changes in urban life that horsecars and cable cars had unleashed. Streetcars and other forms of electric traction had a tremendous influence on the shapes and sensations of urban life during the late 19th and early 20th centuries. In many cases, the technology exacerbated trends that began with the horsecar. Streetcars continued the horsecar’s role in enabling the seemingly contradictory yet related forces of centralization and dispersal in American cities. In essence, this entailed the general separation between major commercial activities in the downtown and districts of residence and other activities, such as manufacturing, in less dense areas surrounding the core and along the urban fringe. The American walking city—in which the dominant mode for the journey to work was by foot—came to an end, although many workers still walked to their places of employment. Streetcars played a dramatic role in suburbanization. Unlike the natural limits of horsecars, electric streetcars could journey well beyond the existing city once trackage was laid. In Boston, for example, the area of urban settlement expanded from two miles outside the old walking city core during the horsecar era to four miles during the first decade of electric streetcar service.35 Suburban living was more readily available to Americans of the growing middle class and in the skilled trades from cities as varied as New York City to Milwaukee. Those who worked within the older city but could not afford the daily ten-cent round trip fare were forced to stay (or walk long distances from the urban fringe).36 The characteristics of “streetcar suburbs” differed across and within cities, yet they also shared similarities. For example, accessible, cheap land enabled suburban residential developments of semi-detached or detached dwellings set back from the street and surrounded by a yard (apartments also existed). Walkability remained important for at least some daily tasks and, of course, for the journey to the nearby streetcar stop. Thus, on the whole, streetcar suburbs had fairly compact forms and high population densities compared to the automobile-centric suburbs that developed later in the 20th century, although such forms and densities varied based on local influences, levels of affluence, and other factors. Real estate speculators knew the value of streetcar service to their developments. In many cases, transit companies held real estate interests along the urban fringe, which they connected via streetcar to spur development, even if the line itself was unprofitable. Yet the many streetcar suburbs that still dot the American landscape today were not simply the result of ambitious developers, but also the desires and actions of many people, from local politicians to the varied residents who made such places home. Yet streetcars or other forms of transit also reinforced social differences. They were “moving theaters” of racial conflict, according to historian Robin Kelley.42 In antebellum America, omnibus companies in New York and Philadelphia forbade African Americans from riding in their vehicles, while slaves sometimes rode with their white owners or in separate conveyances in southern cities.43 Segregated transit was at the center of Jim Crow–era discrimination in the South. Although the Montgomery Bus Boycott in 1956—sparked by the refusal of Rosa Parks to give up her bus seat to a white passenger—is rightly remembered as a major moment in the Civil Rights movement, African Americans participated in failed protests in at least twenty-five southern cities against the injustice of Jim Crow laws during the first decade of the 20th century. These laws, following the U.S. Supreme Court case Plessey v. Ferguson (1896), dictated black riders sit in the back of transit vehicles and give up their seat to white riders if they sat in the middle section.44 Women had mixed experiences using transit. Spaces within a transit vehicle were common sites of sexual harassment, especially after streetcar companies switched to one-man operations by eliminating guards and ticket collectors who used to watch over passengers in the early 20th century. Such harassment led Julia D. Longfellow of the Women’s Municipal League in 1909 to request the operator of New York’s Interborough Rapid Transit to provide a female-only car during rush hours (higher operating costs motivated the private company to reject her request).45 On the other hand, streetcars and other forms of mass transit allowed for opportunities for greater freedom, through urban mobility, for women, who constituted a high percentage of transit users. A ride on a streetcar embodied the complex contradictions of American urban life during the age of modern technology. Mass transit’s importance in the lives of city dwellers decreased by the 1920s. This decline lasted until the 1970s, and, in many ways, it has continued to the present. The roots of this trend emerged during the early 20th century. From 1890 to 1905, annual streetcar ridership across the country more than doubled from two billion to five billion passenger trips. However, over the next two decades ridership grew at a slower rate. From 1917 to 1923, the industry added only one billion more annual trips. Annual transit ridership (all modes including subway, streetcar, and bus) peaked in 1926 (excluding exceptional war-related conditions during the 1940s and early 1950s), with more than seventeen billion passenger trips—a figure since unmatched. The slowdown in transit ridership growth coincided with an explosion of automobile ownership and use: in 1910, Americans owned less than half a million automobiles, a figure that rose to eight million vehicles in 1920.46 Mass transit’s fall in prominence is more complicated than simply the invention and popularity of the private automobile, for as historians of technology remind us, no technology is innately superior to another. Rather, social values and practices influence the acceptance of technologies based on complex factors. Multiple reasons within and outside of the transit industry explain declining passenger numbers during the 20th century. Starting in the 1910s, inflation imposed pressure on the overwhelmingly private-owned transit industry. Transit companies began to reduce investment in their capital stock before World War I.47 Inflation led to increased prices for materials (the value of steel rails rose by 50 percent after the war) and other costs. Labor, the largest part of the industry’s operating costs, also became more expensive as more workers unionized.48 Greater demand for better service from interest groups—not only users who protested against any hike to the common five-cent fare, but also politicians and business groups—compounded these economic forces by making more difficult the implementation of positive reforms that could have improved the competitiveness of transit against the automobile. After the war, the longer trajectory of declining passenger numbers resumed. Numerous transit companies faced financial ruin, which led to public ownership in Chicago, Los Angeles, and other larger cities in the immediate postwar era. In smaller towns, transit often ceased operation. Despite the wave of public takeovers during the late 1940s and 1950s, the popular conception of transit as a service run on a cost-recovery basis remained unchanged. Service failed to improve significantly enough to curtail declining ridership.60 At the same time, the postwar years marked the growth of automobile-dependent suburbs and car ownership as well as a rapid push for road building. In 1956, President Dwight Eisenhower signed the Federal Aid Highway Act, which dedicated twenty-five billion dollars to build more than forty thousand miles of limited-access roadways across the country.61 Although transit’s decline began decades before the federal government constructed new highways in the postwar era, the interstate program—which funded 90 percent of urban expressway costs—demonstrated the federal government’s enthusiasm for automobility. By the 1950s, the United States had become “car country,” according to Christopher Wells.62 Meanwhile, the transit industry suffered. But change was around the corner. Since the 1980s, numerous cities have built light rail transit (LRT) systems. With LRT, vehicles operate on lines with dedicated rights-of-way but power is supplied by overhead wires instead of a third rail. LRT requires lower capital costs and ridership levels compared to heavy rail systems, and LRT projects have become more common than capital-intensive heavy rapid transit systems such as BART and the Washington Metro. Escalating construction costs and a more restrictive environment of federal funding for capital projects is one motivation for LRT’s rise, which began in the early 1980s.74 In a development that has proved fascinating to the historian, nostalgia and heritage have also contributed to the popularity of rail transit developments since the 1980s. Cities have kept or built “heritage” streetcar lines (or cable cars in San Francisco) along downtown streets with tourist dollars in mind. When the first LRT line in the United States opened in 1981, it was called the “San Diego Trolley,” despite little similarity between the new line and the trolleys that served the city until the late 1940s. Most passengers today have no personal memory of riding streetcars, and so LRT and heritage lines are commonly associated with a vibrant urbanism of the early-20th-century American city rather than the more negative streetcar sentiments and experiences held by many people at the time.75 The place of the past within current transit branding demonstrates just one example of why the history of mass transit matters today. Historical research on mass transit history continued during subsequent decades. Such interest developed as part of the growth of urban history during this time, as scholars sought to uncover the historical roots and wider contexts of housing issues, racial segregation, and economic inequality that came to the surface in American cities during the postwar “urban crisis.” In the wake of rising concern over air pollution, energy use, and the impact of automobiles on the urban fabric, several works focused on the historical factors that had led to the rise and fall of mass transit (and related, the rise of urban automobile use). Increased attention to transit also followed federal funding starting in the 1960s.77 Brian J. Cudahy has looked at the issue from a national perspective. Other authors have selected single cities—Scott Bottles on Los Angeles or Paul Barrett on Chicago, for example—as their case studies or took a comparative approach in order to emphasize how such processes unfolded in different locales. A common thread running through much of this work emphasized the technological choices behind various transit forms and the political relationships among private transit providers, local governments, and various interest groups. More recently, the influences of environmental history and cultural history have made their mark on the study of mass transit. Clay McShane and Joel Tarr have focused on an integral part of the horsecar that historians had previously ignored: the animal that powered the vehicle. They show the essential role that horses had on not only mass transit, but also the wider processes of change in the industrial American city. David Nye’s work on electricity has emphasized the need to consider the creation of social meaning as key in understanding the influence of the electric streetcar and other transit technologies. To Nye, the electric streetcar emerged as part of a constellation of technologies at the turn of the 20th century that influenced the transition to the modern American city based on consumerism and spectacle. Recent scholarship has also focused less on the elite decisions made within corporate boardrooms and political offices and more on the daily experiences of transit passengers. Robin Kelley and others have conceptualized the transit vehicle as a contested public space in which the practices of racial and gender inequality in everyday life were reinforced and challenged. Others, influenced by a growing emphasis on the user within the history of technology and mobility studies, have examined how unfavorable experiences of transit may have influenced former passengers to purchase automobiles. While the dynamics of mass transit during the 19th and early 20th century has received a fair amount of attention from scholars, the subject’s more recent history has received far less attention. For instance, broad histories of mass transit in the United States rightly emphasize earlier eras when more Americans used transit per capita, while giving much shorter accounts of transit since the mid-20th century. To give one example, no extensive study examines San Francisco’s BART—one of the largest megaprojects of the 1960s and 1970s—from a historical perspective. Fortunately, historians are beginning to focus more attention on mass transit during the eras after World War II. Leading this trend is Zachary Schrag’s fine work on the Washington Metro, which has brought a postwar perspective to the literature on subways by Clifton Hood and other historians.81 Public concern about environmental sustainability, alternative transportation forms and energy sources, and the consequences of an automobile-based lifestyle suggest that research on more recent transit history will continue to grow. Historians of mass transit use a variety of primary sources to understand issues related to the topic. Such breadth reflects the fact that the study of mass transit requires knowledge of both technical matters and social dynamics, since both elements are interconnected. The voices of elites—politicians, company executives, and technical experts—are often found in reports, trade publications, government records, and other official documents. Uncovering the thoughts and behaviors of ordinary people (whether they be users, observers, or workers) is more challenging but can be gleaned from newspaper reports, literature, and photographs and other forms of visual art as well as the census and other quantitative sources. Scale is a further consideration in the study of mass transit, as transit may be approached from a national to a local perspective. Depending on the research question, scale influences the types of sources used by the historian. Historical Tables presented in the American Public Transportation Association’s (APTA) annual Public Transportation Fact Book is a good place to begin research on general statistical trends. Information dates to 1890 for some categories and draws from the census and APTA records. George Mason University is home to the American Public Transportation Association records. The collection, featuring materials related to APTA, its predecessor organizations, and the Institute for Rapid Transit, is arranged in seven thematic series from meetings and publications to local transit files. Industry trade publications are also excellent sources for understanding mass transit developments. These magazines are usually devoted to a specific transport mode or the industry more generally. A short list of publications includes: Street Railway Journal (published 1884–1908); Electric Railway Journal (published 1908–1931); Bus Transportation; Bus World; Motor Coach Age/Motor Coach Today (published 1950–2003); Mass Transit; Passenger Transport; Metro; Headlights; National Railway Bulletin; Railway Age (published 1856–present). Several institutions contain historical information on mass transit at a national level. The National Transportation Library of the Department of Transportation features digitized sources with an emphasis on statistical, technical, or policy documents. The collection is more useful for the study of the recent past since a majority of its documents date from the late 20th century to the present. The Transportation Research Board operates TRID, a massive search database that covers more than one billion transportation documents, including conference proceedings, technical reports, books, and journal articles related to transit. More than thirty institutions across the United States form the University Transportation Centers program. These centers often feature strong transportation libraries, such as the Harmer E. Davis Transportation Library of Berkeley’s Institute of Transportation Studies. Local collections—archives, museums, libraries, and other repositories—are essential for historical research on mass transit in a specific city or region. These collections often feature reports, meeting minutes, and other documents related to local transit activities. For example, the New York Transit Museum houses an extensive collection of materials related to the transit history of the New York metropolitan area. The Dorothy Peyton Gray Transportation Library and Archive—operated by the Los Angeles Metro transit authority—caters to research devoted to Southern California’s transportation history. Since transit held a prominent place in public debates and daily life during the 19th and 20th centuries, local newspapers are also excellent sources for research on significant developments as well as more quotidian matters related to local transit history. (1.) Kenneth J. Jackson, Crabgrass Frontier: The Suburbanization of the United States (New York: Oxford University Press, 1985), 31, 28. (2.) Brian Cudahy, Cash, Tokens, and Transfers: A History of Urban Mass Transit in North America (New York: Fordham University Press, 1990), 60–61. (3.) Jackson, Crabgrass Frontier, 33. (4.) Jackson, Crabgrass Frontier, 34. (5.) Cudahy, Cash, Tokens, and Transfers, 8–10. (6.) Glen E. Holt, “The Changing Perception of Urban Pathology: An Essay on the Development of Mass Transit in the United States,” in Cities in American History, edited by Kenneth T. Jackson and Stanley K. Schultz (New York: Alfred A. Knopf, 1972), 325. (7.) Robert C. Post, Urban Mass Transit: The Life Story of a Technology (Westport, CT: Greenwood, 2007), 14–15. (8.) Jackson, Crabgrass Frontier, 35. (9.) Joel Tarr and Clay McShane, The Horse in the City: Living Machines in the Nineteenth Century (Baltimore: Johns Hopkins University Press, 2007), 61–62. (10.) Tarr and McShane, Horse in the City, 64–65. (11.) Cudahy, Cash, Tokens, and Transfers, 13. (12.) Post, Urban Mass Transit, 19, 14. (13.) Tarr and McShane, Horse in the City, 63; Jackson, Crabgrass Frontier, 39. (14.) Tarr and McShane, Horse in the City, 70–71; Clay McShane, Down the Asphalt Path: The Automobile and the American City (New York: Columbia University Press, 1994), 14. (15.) Tarr and McShane, Horse in the City, 1, 14. (16.) David E. Nye, Electrifying America: Social Meanings of a New Technology, 1880–1940 (Cambridge, MA: MIT Press, 1992), 89. (17.) Post, Urban Mass Transit, 22; Jackson, Crabgrass Frontier, 106. (18.) Cudahy, Cash, Tokens, and Transfers, 14–15. (19.) Jackson, Crabgrass Frontier, 92–94. (20.) Tarr and McShane, Horse in the City, 5. (21.) Cudahy, Cash, Tokens, and Transfers, 64–71. (22.) Post, Urban Mass Transit, 24. (23.) Cudahy, Cash, Tokens, and Transfers, 27–33. (24.) Post, Urban Mass Transit, 27–31. (25.) Jackson, Crabgrass Frontier, 103. (26.) Nye, Electrifying America, 86. (27.) Cudahy, Cash, Tokens, and Transfers, 41, 48. (28.) Jackson, Crabgrass Frontier, 108. (29.) Cudahy, Cash, Tokens, and Transfers, 48. (30.) Nye, Electrifying America, 90–91. (31.) Robert Fogelson, Downtown: Its Rise and Fall, 1880–1950 (New Haven, CT: Yale University Press, 2001), 16; Cudahy, Cash, Tokens, and Transfers, 48. (32.) Fogelson, Downtown, 55–60; Cudahy, Cash, Tokens, and Transfers, 84–87. (33.) Clifton Hood, 722 Miles: The Building of the Subways and How They Transformed New York. Centennial Edition (Baltimore: Johns Hopkins University Press, 2004). (34.) Fogelson, Downtown, 20; Nye, Electrifying America, 112; Jackson, Crabgrass Frontier, 113. (35.) Sam Bass Warner Jr., Streetcar Suburbs: The Process of Growth in Boston, 1870–1900 (Cambridge, MA: Harvard University Press, 1962), 22. (36.) Nye, Electrifying America, 96–97. (37.) McShane, Asphalt Path, 23–25. (38.) Warner, Streetcar Suburbs, 3. (39.) Nye, Electrifying America, 132. (40.) Clifton Hood, “Changing Perceptions of Public Space on the New York Rapid Transit System,” Journal of Urban History 22, no. 3 (March 1996): 308. (41.) Nye, Electrifying America, 137. (42.) Robin D. G. Kelley, “‘We Are Not What We Seem’: Rethinking Black Working Class Opposition in the Jim Crow South,” Journal of American History 80 (1993): 103. (43.) Tarr and McShane, Horse in the City, 79. (44.) Blair L. M. Kelley, Right to Ride: Streetcar Boycotts and African American Citizenship in the Era of Plessy V. Ferguson (Chapel Hill: University of North Carolina Press, 2010). (45.) Hood, “Changing Perceptions,” 319–321; Donald F. Davis, “North American Urban Transit, 1890–1950: What If We Thought about It as a Type of Technology?” History and Technology 12 (1995): 318–320. (46.) Cudahy, Cash, Tokens, and Transfers, 152. (47.) David W. Jones, Mass Motorization + Mass Transit: An American History and Policy Analysis (Bloomington: Indiana University Press, 2008), 33. (48.) Post, Urban Mass Transit, 67. (49.) Post, Urban Mass Transit, 66–67. (50.) Paul Barrett, The Automobile and Urban Transit: The Formation of Public Policy in Chicago, 1900–1930 (Philadelphia: Temple University Press, 1983), 96–105, 221. (51.) Peter Norton, Fighting Traffic: The Dawn of the Motor Age in the American City (Cambridge, MA: MIT Press, 2008), 8–11. (52.) Post, Urban Mass Transit, 69–70. (53.) Cudahy, Cash, Tokens, and Transfers, 98; Post, Urban Mass Transit, 68, 83. (54.) Post, Urban Mass Transit, 4. (55.) Post, Urban Mass Transit, 151–153; Cudahy, Cash, Tokens, and Transfers, 188–190. (56.) Zachary M. Schrag, “‘The Bus Is Young and Honest’: Transportation Politics, Technical Choice, and the Motorization of Manhattan Surface Transit, 1919–1936,” Technology and Culture 41 (January 2000): 51–79. (57.) Davis, “North American Urban Transit,” 315. (58.) Post, Urban Mass Transit, 119; Cudahy, Cash, Tokens, and Transfers, 163. (59.) Sarah K. Frohardt-Lane, “Race, Public Transit, and Automobility in World War II Detroit,” PhD diss., University of Illinois at Urbana-Champaign, 2011. (60.) David W. Jones Jr., Urban Transit Policy: An Economic and Political History (Englewood Cliffs, NJ: Prentice Hall, 1985), 80. (62.) Christopher Wells, Car Country: An Environmental History (Seattle: University of Washington Press, 2012). (63.) Jones, Urban Transit Policy, 81, 116; Cuhady, Cash, Tokens, and Transfers, 221; Post, Urban Mass Transit, 135. (64.) Edward Weiner, Urban Transportation Planning in the United States: An Historical Overview, rev. ed. (Westport, CT: Praeger, 1999), 42–43. (65.) Jones, Urban Transit Policy, 83. (66.) Peter Hall, Great Planning Disasters, (Berkeley: University of California Press, 1982), 109–137. (67.) Zachary M. Schrag, The Great Society Subway: A History of the Washington Metro (Baltimore: Johns Hopkins University Press, 2006). (68.) J. R. Meyer, J. F. Kain, and M. Wohl, The Urban Transportation Problem (Cambridge, MA: Harvard University Press, 1965). (69.) Schrag, Great Society Subway, 3. (70.) Cudahy, Cash, Tokens, and Transfers, 196. (71.) Cudahy, Cash, Tokens, and Transfers, 196–197; Post, Urban Mass Transit, 147. (72.) Schrag, Great Society Subway, 180–181. (73.) Weiner, Urban Transportation, 84. (74.) Weiner, Urban Transportation, 99. (75.) Post, Urban Mass Transit, 5–6. (76.) Sam Bass Warner, Streetcar Suburbs: The Process of Growth in Boston, 1870–1900 (Cambridge: MA: Harvard University Press, 1962). (77.) Brian Cudahy, Cash, Tokens, and Transfers: A History of Urban Mass Transit in America (New York: Fordham University Press, 1990). (78.) Kenneth J. Jackson, Crabgrass Frontier: The Suburbanization in the United States (New York: Oxford University Press, 1985). (79.) Clay McShane, Down the Asphalt Path: The Automobile and the American City (New York: Columbia University Press, 1994). (80.) Peter Norton, Fighting Traffic: The Dawn of the Motor Age in the American City (Cambridge, MA: MIT Press, 2008). (81.) Zachary M. Schrag, The Great Society Subway: A History of the Washington Metro (Baltimore: Johns Hopkins University Press, 2006).